Memories of idyllic childhood holidays spent slowly driving along Cornish lanes the width of the car with skyscraper hedgerows laced with sweet scented honeysuckle. Dad’s expression in the driver’s mirror betrayed his hope that no other vehicle would be coming towards us while my brothers and me in the back seat excitedly hoped they would so we could scream conflicting directions to Dad as he reversed to the nearest passing point. Mum’s job was to read the cryptic directions from the leaflet she held in her hands; turn left at the Cornish pasty (which turned out to be the name of a cottage that was just crying out to be featured on clotted cream packaging) then take a right at the monkey puzzle…you get the picture. When we moved to North Tenerife and began traversing forest roads and mountain villages, we wanted other visitors to the island to find this hidden, ‘real’ Tenerife too, and it was then that we had the idea of writing Real Tenerife Island Drives. We didn’t just want to give people directions, they could buy a map for that, we wanted them to enjoy the whole experience of exploring the island. So we designed routes that wove through off the beaten track parts of the island, including snippets of information we’d discovered along the way such as how a place got its name, if it had an unusual fiesta and its place in Tenerife’s short but colourful history. Then we added places to stop for a view or a leg stretch and nice little places to stop for lunch or a picnic along the route. 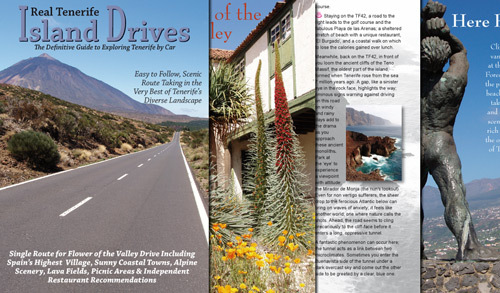 Never having had any experience of self publishing, we drove, wrote, photographed, designed and did the layout for Island Drives, sharing one desktop pc between us. It was a journey of triumphs and disappointments but it was a labour of love. When we finally despatched it to the printers and arranged its distribution, we had just 3 weeks in which to build and launch a website on which to sell it. We sat in front of that steam-powered pc and began to build a website without any knowledge, training, prior experience and most importantly without WordPress. All our waking hours were spent grappling with page design and layout, trying to understand Meta data, diagrams, parent and child pages and basic HTML. The word ‘divorce’ was uttered on many an occasion and we laughed and cried our way to finally hitting that ‘publish’ button. Neither before nor since have I felt such elation and such a sense of achievement. We were delirious with joy and promptly got drunk! Of course, what we didn’t realise at that time was that we launched our site into cyber obscurity…but that’s another story. Over 2500 worldwide sales later, this month Real Tenerife Island Drives has taken another giant leap forward into the 21st century and has just been published on Kindle. It hasn’t been quite the same torturous experience that its original creation was, but nor has it been without its hair pulling, screaming out loud moments and the mere mention of the term ‘Table of Contents’ can still bring on a sweat. 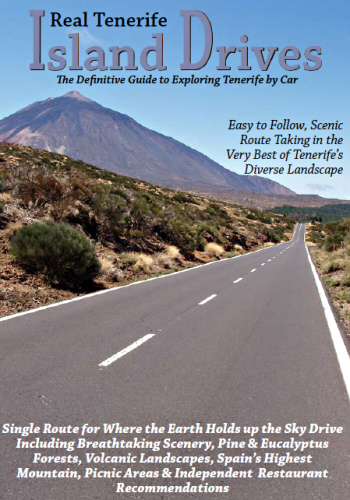 But at last I can say: Real Tenerife Island Drives – now available on Kindle. YAY!